FREE DOWNLOAD L2 Mercury System. After many request, we take the decision to open a new L2Mercury SEASON. There will be NEW a start with many players, big clans and huge online playing communities. We have added new features and many useful services and functionality. We will give to you that feelings which others servers can`t suggest. WE ARE WAITING FOR YOU! DON'T MISS. STAY TUNED ON OUR FACEBOOK PAGE FOR MORE INFO! - Defenses against DDOS attacks. - High quality server performance! - Comfortable game without freezes or delays. - Active & Professional GM Team. from our NPC in Giran ! 10 Or more active memebers. 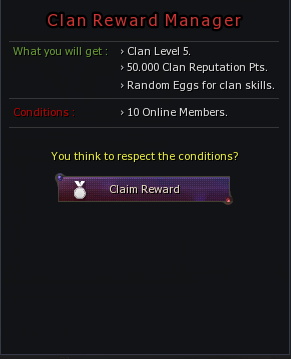 > 50.000 Clan Reputation Points. > Random Eggs for clan skills. © 2018-2019 L2MERCURY.COM - LINEAGE II TEST SERVER. ALL RIGHTS BELONG TO NCSOFT.